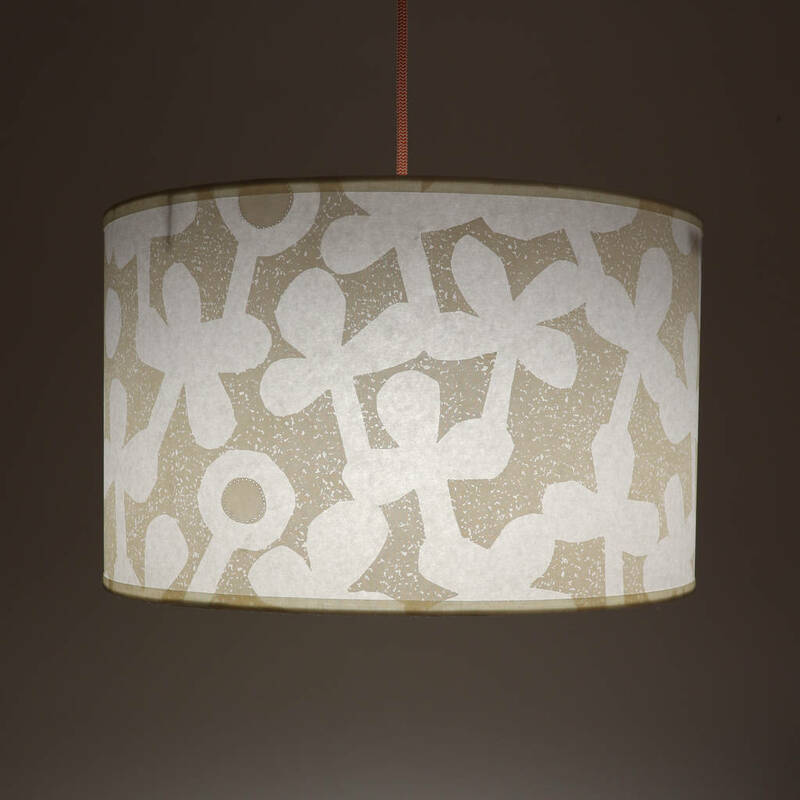 Printed in semi-opaque cream with cream trim to give a lovely warm glow to your interior. Makes a fantastic impression as a pair in a double reception room or hanging over the dining table. 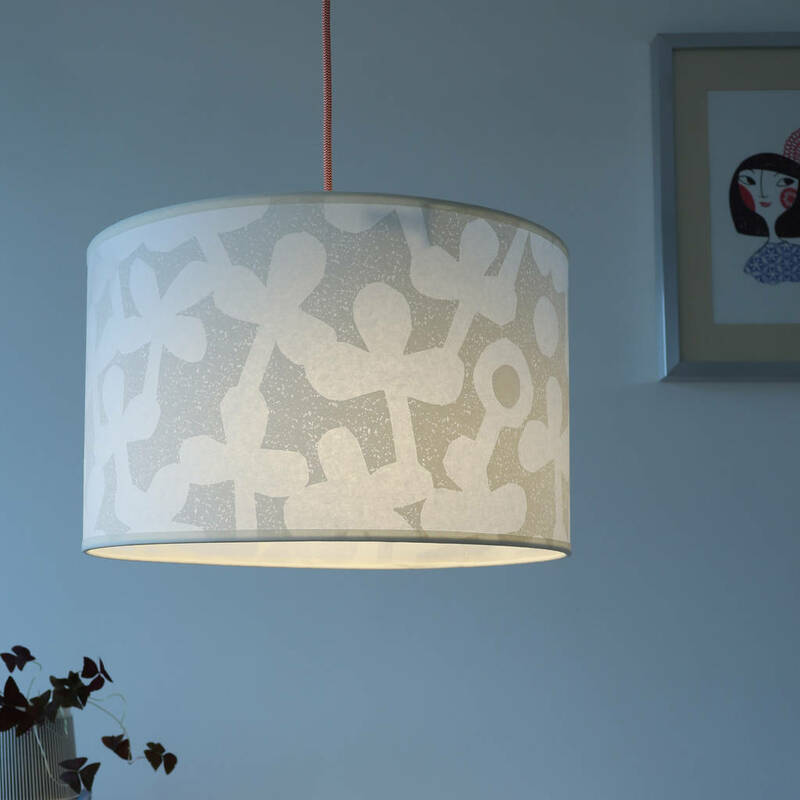 A versatile size, this lampshade can be used in medium to large rooms and even hallways as an eyecatching centre piece. Screen printed by hand using water based, solvent free inks, here in my London studio. 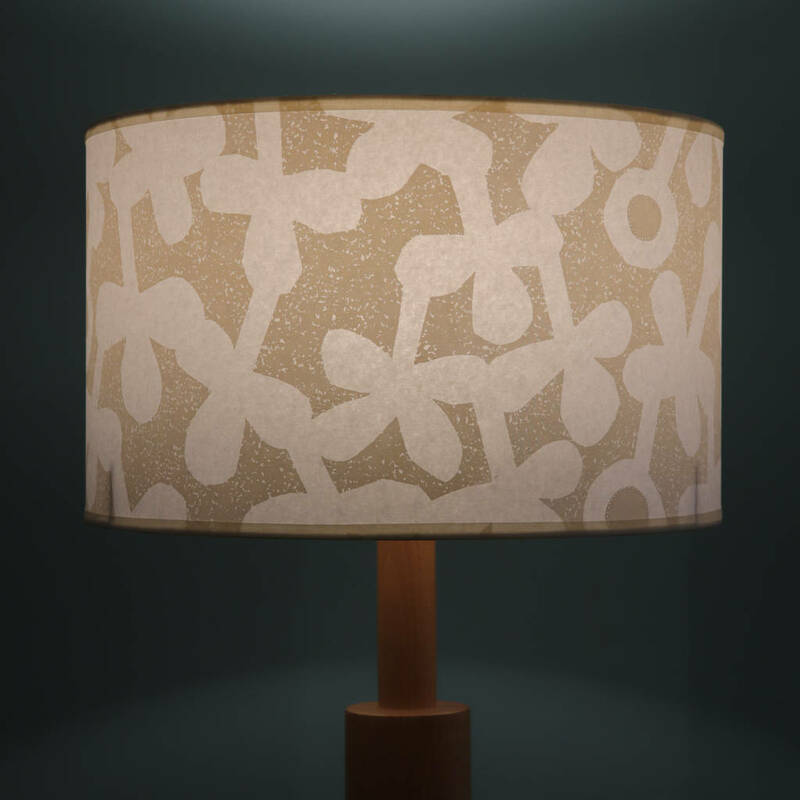 The shades are then machine stiched with dotty detail to highlight the pattern and add individual appeal to each design. 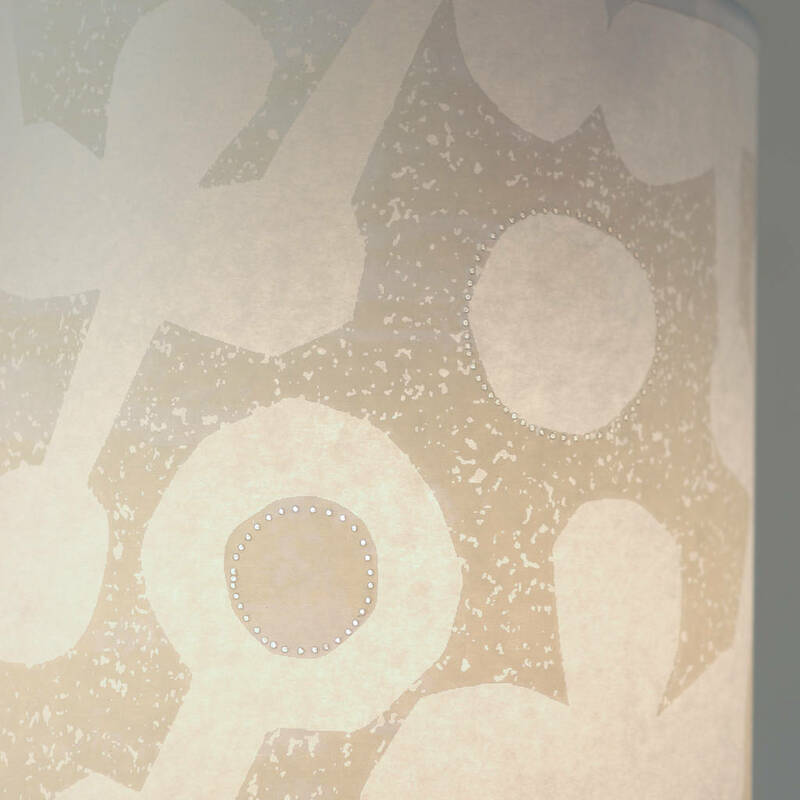 Printed in semi-opaque cream to give a lovely warm glow to your interior. Finished by hand in the UK, your shade will be carefully packed using recycled packaging whenever possible. 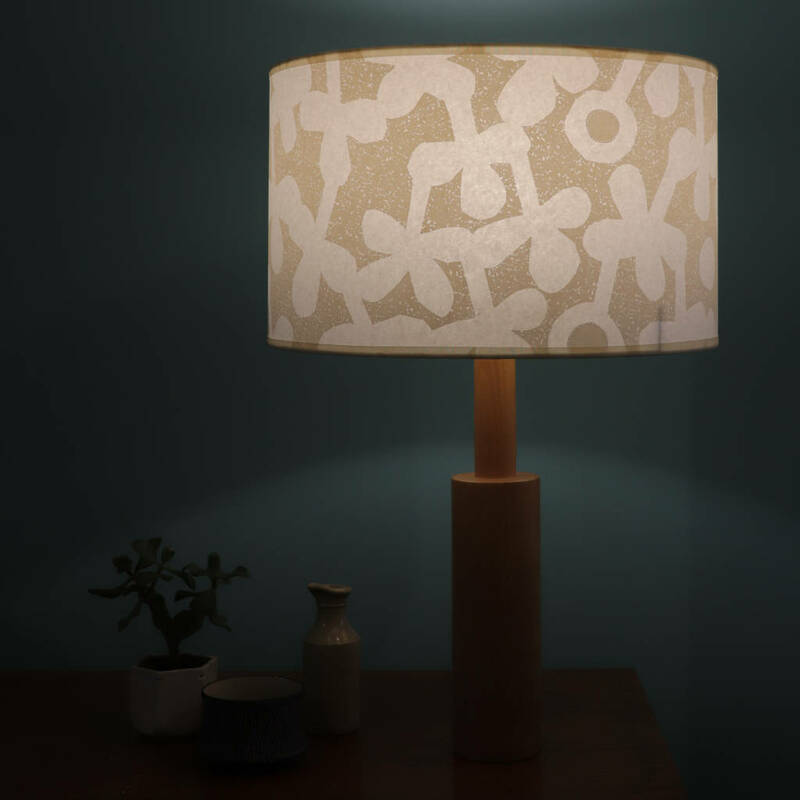 The lampshade can also be teamed with the lamp base shown in the first photo - making a stunning statement piece in the living room. The lamp bases are a slimple conical shape turned from one piece of solid oak. Made and assembled here in the UK to a very high standard. The simplicity of these bases matches the shades perfectly. 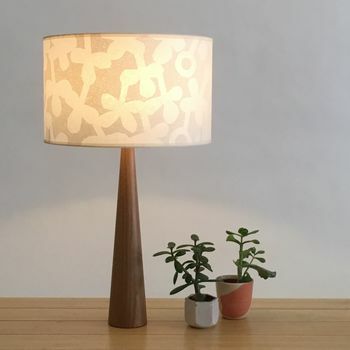 Made from translucent laminated fine paper. - imagine the colour of reinforced white tissue paper, which allows the print to be seen from both the in and outside of the shade. Dust occasionally with a dry cloth. Masking tape can be used to remove spots from the taped edges if necessary. 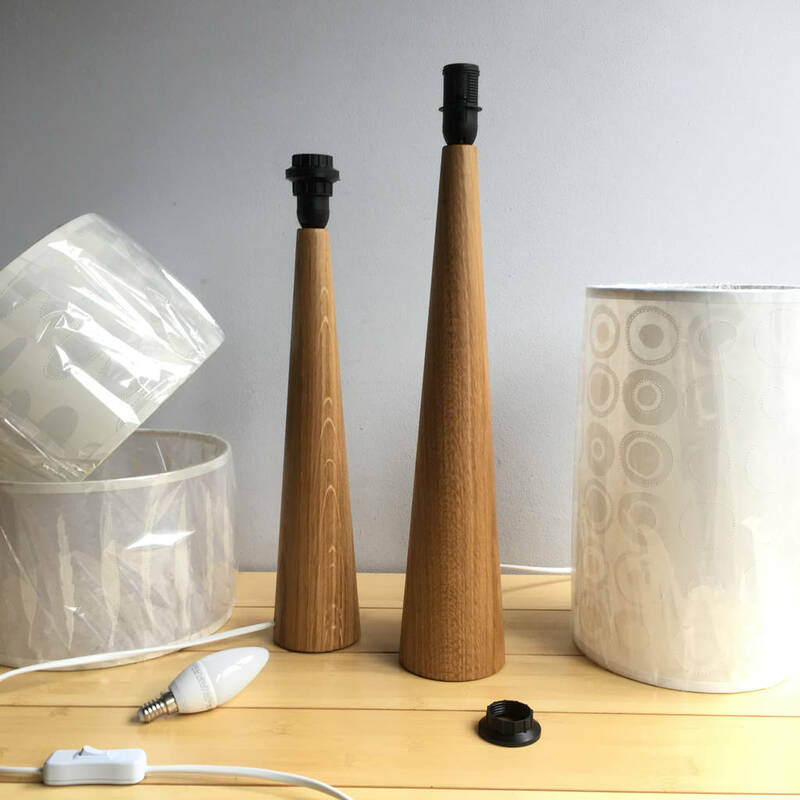 Lamp base has an SES E14 lamp holder (small screw in bulb) with white flex and inline switch and UK plug. CE tested. 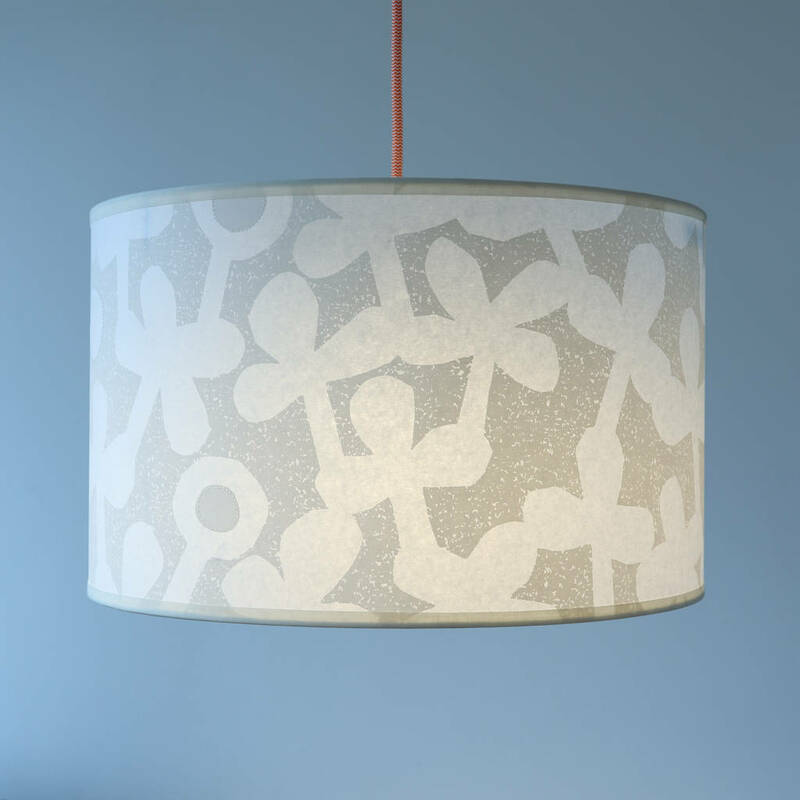 Shade Diameter: 36cm H: 22cm / 14" x 9"